"Excellent transaction. Could not be more satisfied. " "Parfait. Livraison soignée et rapide. Merci !!" "Tres bonne transaction merci "
"Great watch!!!! Great seller!!! Thank you very match!!!!" "Exactly as advertised and speedy delivery. Would reccomend." "Quick delivery, top quality watch, thank you"
"Great item as described. Excellent transaction. A++++++++++++++++++ seller." "Beautiful watch.Fast service Great Communication Warranty card filled in.Cheers"
"My watch is excellent. The service was trustworthy and 1st class. Thank you." "Nice, professional contact - great product. Thanks! " "Sehr schnelle und einwandfreie Lieferung. Vielen Dank! Gerne wieder!" "Schnelle Lieferung, hervorragende Qualität. Vielen Dank." "wunderschöne stifte - ganz schnelle zusendung - danke!" "Fast & easy transaction. 3 days to Hawaii from EU. Beautiful watch! AAAAA+++++"
"Awesome watch, awesome shipping, would buy again!" "Fast delivery! Ordered on Friday, in Sweden on Tuesday." "Vendedor muy serio, formal y con calidad muy alta"
"Una Pluma bonita y sobre todo me encanta el plumín flexible. El transporte bien." "Sorry. I got confused with the model. I’m not interested in buying. I appreciate"
"Friendly and supportive customer service. They were happy to check out delivery times from their supplier, order a watch in at my request and then ship it to me in the UK all within a few days. Recommended"
"A great ebayer,very well packaged,5 star's all round,thanks." "good communication,it was nice doing business with you"
"Beautiful watch, brand new in box. Good price and prompt delivery." "Penna bella ed interessante. Spedizione e consegna veloce. Ottima transazione +"
"Watch is exactly as described, fast delivery, thank you!" "Heile angekommen alles super vielen Dank "
"Next day delivery, fair price, great item condition. Very good seller"
"Alles top!Artikel TOP verpackt,pünktliche Lieferung,sehr freundlich,gerne wieder"
"«E» «X» «C» «E» «L» «L» «E» «N» «T»"
" Top ebayer!!! All good!!! " "Outstanding seller, easy transaction, item exactly as described... Thank you!" "This watch is getting hard to find. Pleased with fast shipping to the states!" "Top seller. Thanks a lot. Perfect. " "Arrivato in pochissimo tempo. Fantastico e tutto perfetto! Grazie "
"Friendly and efficient service. Highly recommended seller!" "Excellent packaging and pencil, thank you!" "Excellent packaging and pen, thank you!" "Perfekter Service, Top Qualität, jederzeit wieder - - > 1AAA "
"professional eBayer, easy transaction, quality product, fast response AAA+"
"Outstanding seller! Pen arrived very quickly & exactly as-described. Thank you!!" "Rubber strap cracked the very first time the watch was put on and further rapid disintegration of strap very likely. When I requested to return the watch I was first asked to send photos before being told that the strap was not included in the warranty and could not be returned. They suggested purchasing a replacement strap from them. Won't be buying any more of their inferior/fake products." "Great seller, great transaction, will do business again." "Ottimo venditore, premuroso e velocissimo"
"venditore molto serio, spedizione rapidissima, consigliatissimo"
"quality is great, thanks. " "Rapidissimo , ottimo prezzo , articolo perfetto, venditore consigliatissimo"
"Seller misinformed me that cufflinks could open. Found out after it couldn’t." "everything fine ! Nice watsch, good comminucation !" "As described , thanks. Excellent service. " "Oggetto arrivato puntualmente e conforme alla descrizione,venditore consigliato." "Nichts zu beanstanden. Alles tipptopp, schnell, gut verpackt." "Excellent Service, Thank you A+++"
"Very happy with this product. Thank you." "Tutto ok. Spedizione rapida. Ottimo imballo." "Alles bestens. Gerne jederzeit wieder!" "Fast shipping, excellent packaging and superb pen! Thank you!" "Great seller and awesome product!!!" "Оплата прошла в субботу, до вторника продавец не выходил на связь. " "Excellent item, exactly as described!" "Schnelle Zustellung, netter Kontakt, gerne wieder !!!" "Perfekt, alles bestens, vielen Dank. Weiterempfehlung ! Bin sehr zufrieden :-)"
"It is all ok perfetto grazie. It Is wonderfulul!!! One of the best pen!!!!" "Fast shipping, excellent packaging and condition!" "Ware bestens und schneller Versand, Dankeschön!!!" "As always a very good service"
"Highly recommended, cooperative seller, excellent product, quick shipping." "Excellent communication and customer service, thank you." "Great Transaction and Great Communication - Thanks"
"Wow! Super fast delivery, perfect product, a bonus perfect! Thanks!!" "Excellent service and excellent product at excellent prices! Thank you A++++++++"
"Iguana Sell has fantastic service. They offer nice collection of pens and then have it delivered on time. In addition, they have a competitive price. I highly recommend them." "Tutto ok. Arrivato persino in anticipo"
"Todo perfecto. Envío y entrega muy rápido. Artículo tal como se especificaba." "Comms cannot be faulted, arrived before it was due. A first class transaction"
"Pleasure doing business with you. Highly recommended seller." "Fast delivery - Nice watch"
"Tutto apposto e perfetto. Oggetto arrivato cosi come stabilito. Soddisfatto molt"
"Todo perfecto. Enviado con antelación a la fecha prevista. Excelente vendedor"
"Amazing watch. Thank you so much." "bin sehr zufrieden, alles in Ordnung!!" "Ordered a Pelikan M200 as a gift for my 88yr old dad in marbled brown. Shipping only took a couple of days by courier. Fast friendly service. Will definitely buy again!" "Top-top ! Vielen Dank ! Excellent !!!" "Un grand merci à vous. Ce stylo plume est une merveille !!!" "VENDITORE SUPER ORGANIZZATO ++++ SERVIZIO ECCELLENTE"
"A minor problem with manufacturing a new watch, but it was worth waiting for😊 "
"Comunicacion perfecta y siempre atento go. El cliente "
"fast delivery good hassle free"
"Good communication, fast delivery. Thanks!!!" "tres beau stylo roller. livraison super rapide tout OK. jean Martinez." "schöne Ware, jederzeit gerne wieder, Danke!" "Alles bestens, super verpackt, schöne Ware"
"Muchísimas gracias Poe el servicio increíble y Su seriedad!" "Son muy serios con los clientes." "Alles super gelaufen. Mega schnelle Lieferung. Immer wieder gerne." "Excelente compra. Excelente vendedor. Recomendo a todos." "Entrega muy rápida, hermoso objeto, muchas gracias. :)"
"Realmente genial!! Ultra rapido !! ¡¡Serio!! Ravi !! Gracias"
"Wow, recibí el paquete antes de la fecha programada! ¡Para recomendar! MIL GRACI"
"Great Seller ...... Fast Shipment ....+++++"
"It arrived early and im Beautiful condition thanh you"
"Sehr gute Ware, sehr schnelle Lieferung. Einfach spitze"
"Magnífico vendedor muy profesional "
"tutto ok spedizione velocissima +++++"
"Artikel leider nicht mehr verfügbar. Rückabwicklung rasch und problemlos." "Todo perfecto,aunque el envio tardó más de lo esperado"
"Thank you for your Excellent service. I am very happy with my purchase." "Superschnelle Lieferung, guter Service, gerne wieder!!!" "Beautiful, for me best seller ever; will buy again"
"Super fast shipping, looks good and writes great"
"Sehr schnell geliefert, tolles Produkt, top Verkäufer, gerne wieder!!" "Outstanding seller - very keenly priced, exactly as described, very carefully packaged and amazingly quick delivery"
"Gute Ware, schnelle Lieferung. Gerne wieder, Danke!" "Wie von Iguana Sell nicht anders zu erwarten war, kam der Artikel sehr schnell, sicher verpackt und in perfektem Zustand bei mir an." "Very supportive, great price/quality ratio on all products, I'm very happy." "Bella stilografica. Spedizione e consegna veloce. Ottima transazione +++++"
"Very satisfied! Thank you :-)"
"+++ Transaction parfaite - A recommander - Merci +++"
"Many thanks for great little ballpen and the excellent service." "Perfect as usual. A must do again..."
"alles Bestens, schnelle Lieferung, Ware IO. Vielen Dank"
"Abwicklung und Ware einwandfrei! Perfekt! Schnelle Lieferung! Vielen Dank!" "Prompt shipping! Exactly what was described. Thank you! A+ Seller"
"Beautiful product. Just slightly concerned if something goes wtong as the seller turned out to be in Italy." Since Jun 2004 10922 ratings, reviews and feedbacks have already been collected. 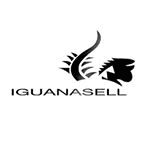 Iguana Sell is represented on Facebook Pages, Google+, ebay, Facebook, LinkedIn, Amazon, eKomi.de, Instagram and Ebay.de.